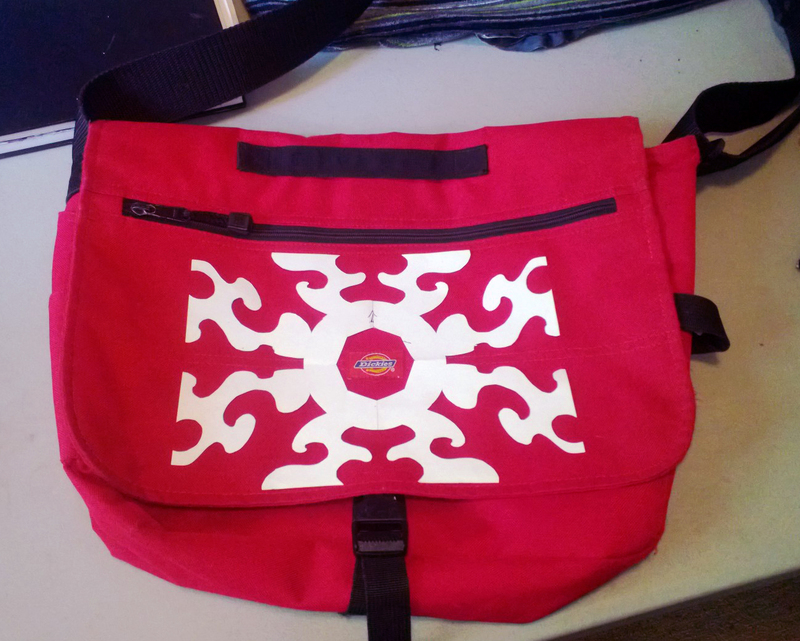 Here’s a preview of what’s coming up next… I found this Dickies messenger bag at a local thrift store, renovated it, and I am in the process of adding a fabric applique’ of my own design. Will post the finished product when it’s done. Stay tuned for this and more wearable accessories/altered clothing/fiber arts, painting and illustrations! This entry was posted on May 16, 2013 by laughingnewborn. It was filed under Uncategorized and was tagged with art by women, arts, craft, fiber arts, style, thrift store.